Blue carts cometh. Until then, here’s how to sort out your recycling options. Drop off tricky items at the Household Chemicals and Computer Recycling Facility. We used to roll our eyes as bureaucrats called Chicago a leader in the green movement when only a fraction of households had blue cart recycling. But last month Rahm Emanuel announced that by 2013 the city will provide service to the remaining 340,000 households. 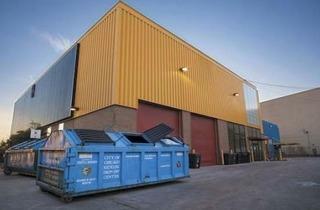 “No longer will Chicago be a tale of two cities when it comes to recycling,” he promised. Until then, we asked city employees and environmental organizations how to recycle everything, sans blue carts. Where can I recycle those tricky items, like my old gas can? Chris Sauve, who runs the recycling program for Streets and Sanitation, told us how to recycle several things that can’t go in carts. He recommends taking printer cartridges to Cartridge World, a store that specializes in refilling them for resale. He suggests you take your old computer, compact fluorescent lightbulbs or rusty gas can to the Household Chemicals and Computer Recycling Facility (1150 N North Branch St, 312-744-4611) managed by the Department of Health. Why can’t I recycle my gazillion plastic bags? We’ve noticed the sticker atop blue carts boldly prohibits plastic bags, even though they’re usually made of Number 4 plastic, which is accepted in other forms. Why? “Plastic bags are light and flimsy so they get caught in the sorting mechanisms,” Sauve explains. However, a 2009 city ordinance requires supermarkets and drugstores that bag at least 25 percent of sales in plastic sacks to provide recycling containers for the bags, which are made into items like liners for trash cans and plastic lumber (often used as deck flooring). Find the recycling bins at your neighborhood grocery store and drugstore. Since I rehabbed, I don’t need my old 1970s kitchen cabinets anymore, but I’m sure someone does. How do I recycle construction material? The ReBuilding Exchange (2160 N Ashland Ave, 773-252-2234) operates like a green, nonprofit version of Home Depot. “In three years of businesses we’ve diverted over 5,000 tons of usable materials from the landfill,” boasts general manager Meegan Czop. If you have construction waste, fill out a form on the center’s website, and ReBuilding Exchange will pick up the goods it’s able to sell. The center also offers classes, a job-training program for ex-offenders and sells furniture made out of “upcycled” materials. My blue cart always fills with my neighbors’ trash, which makes me skeptical that the system works. How can I be sure I’m recycling? 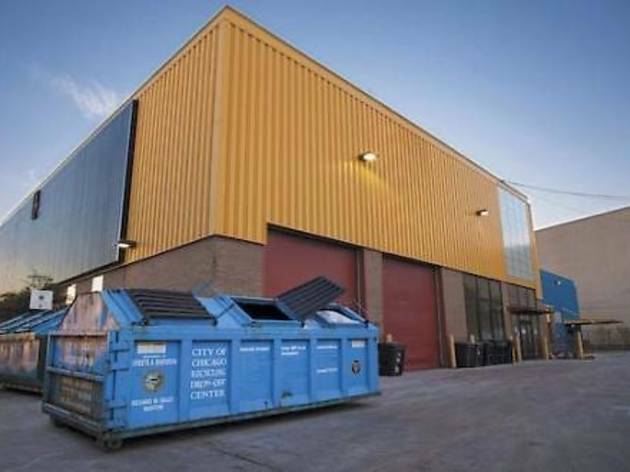 As an alternative to the city’s recycling programs, nonprofit Resource Center (222 E 135th Pl, 773-821-1351) has provided commercial and residential recycling services for 35 years. The city uses single-stream recycling—various materials are thrown in the same cart and then separated at a later stage. Resource Center chief operating officer Kevin Pierce says its clean-stream method, which involves folks pre-sorting the items into glass, metal and paper before pickup, recycles 15 percent more material. Drop-off sites include North Park Village Nature Center (5801 N Pulaski Rd) and Uptown (4716 N Sheridan Rd). On that note, how can I make less trash?